Arrowhead Center at New Mexico State University will host its third Startup Weekend Las Cruces event for current and future entrepreneurs hoping to receive feedback on their startup business idea. This year’s event will begin at 6:30 p.m. Nov. 13 and culminate with judging and awards on Nov. 15 at Arrowhead Park, 4605 Research Park Circle in Las Cruces. Tickets are $75, and tickets for high school and college students are $25. Cost includes meals, refreshments and prizes. 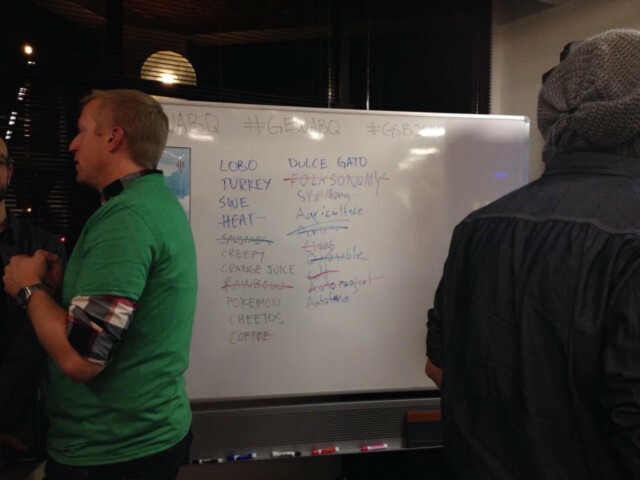 Startup Weekend Las Cruces is the only startup event taking place in Southern New Mexico. Participants from around the region are welcome to attend. The Startup Weekend event features teams forming around top ideas and spending 54 hours creating business models, code, design and market validation. Each team will then present their project before a panel of judges, including Bobby Lutz, NMSU alumnus, CFO and owner of G.L. Seaman and Company, and member of the NMSU Foundation Board and the Arrowhead Advisory Council; John Hummer, co-founder, executive board member and President of The Burrell College of Osteopathic Medicine; and Albuquerque business owner Amy Bigbee. The event’s featured speaker on Saturday is Estela Hartley, an innovation strategist who works with startups, established businesses and nonprofit organizations to solve complex problems and design meaningful businesses, products, and services using new frameworks, tools and practices. She will speak about customer interviews. Hartley specializes in collecting consumer insights and designing business models and customer experiences that create new value and significantly improve outcomes for all stakeholders. She is a native New Mexican and earned a bachelor of community health from NMSU before studying healthcare interior design at The Illinois Institute of Art – Chicago. She earned an MBA in design strategy from the California College of the Arts in San Francisco. She is an adjunct faculty member in the Department of Public Health Sciences at NMSU. The New Mexico Economic Development Department (NMEDD) is donating a $1,000 prize to the ultimate statewide winner, who will then be eligible to compete at the Global Startup Battle. Participants may include software developers, designers and people with a background in business, marketing and public relations. Zetdi Runyan Sloan, director of the Arrowhead Technology Incubator and lead organizer for Startup Weekend Las Cruces, said the winner of the statewide competition will not only receive regional press coverage, but national recognition as well. To register for Startup Weekend Las Cruces, or for more information, visithttp://lascruces.startupweekend.org. The NMSU College of Engineering has made eight scholarships available for students to attend this year’s event. For information about discounts, scholarships and sponsorships, contact Sloan at 575-646-7833 or zrunyan@nmsu.edu. Similar events will be hosted in Santa Fe and Albuquerque. Startup Weekend is a global grassroots movement of community leaders and entrepreneurs who are learning the basics of founding startups and launching successful ventures. The nonprofit organization is headquartered in Seattle, but Startup Weekend organizers can be found in cities around the world. LAS CRUCES — It’s billed as 54 hours of intense training for entrepreneurs and, if you are up for the marathon, there is a chance it could launch a career. Las Cruces is among three cities taking part in New Mexico’s Statewide Startup Weekend, which begins Friday and runs through Sunday night. This year, the third year Las Cruces has participated along wtih Albuquerque and Santa Fe, marks a change from previous years as experts from around the state and country use technology to share information among all three cities simultaneously. The event will connect all three cities, with sessions to be held at the Santa Fe Business Incubator in Santa Fe; Fat Pipe, Eipcenter & ABQid in Albuquerque; and Arrowhead Center on New Mexico State University’s campus in Las Cruces. “Unique this year is New Mexico will be the first and only integrated statewide startup weekend,” said Zetdi Sloan, director of the technology incubator at the NMSU Arrowhead Center. The top project for each city will be selected Sunday night and will immediately go before a panel of judges. The winner will receive $2,000 in development assistance from the state’s Economic Development Department.